This post at Petrona reminded me of a tremendous small Australian publishing house called Spinifex Press which specialises in ‘publishing innovative and controversial feminist books with an optimistic edge’. A few years ago they re-published Australian author Finola Moorhead’s Still Murder which, according to Moorhead herself, is not a genre novel although it features a crime, an investigation, and suspects. In a short essay in Killing Women: Rewriting Detective Fiction (Delys Bird editor) Moorhead explains her somewhat paradoxical lack of comfort with the notion of the crime genre’s suitability for tackling the subjects that interested her (broadly speaking women’s thinking and feminism) and her reasons for using the genre’s popularity, in spite of these misgivings, to do exactly that. The book was first published in 1991 when it won the Victorian Premier’s Literary Award for Fiction. On re-reading it 20 years later I was pleasantly surprised to find it largely undated and as compelling as I remembered. The themes and ideas it explores seem almost purpose-built for this particular challenge. To begin with Still Murder is not a conventional narrative, using instead a mixture of fictional diary entries, news clippings, detective’s notebooks and other documents to flesh out its complex, grand story. This could have proven not much more than a quirky experiment but Moorhead is skilled enough to draw these disparate streams and points of view together to tell a fascinating story. The fact that it unfolds somewhat unevenly with readers never knowing which angle will be coming next adds to the suspense. The subject matter is another departure from run-of-the-mill crime fiction; exploring some themes that remain largely ignored even today. One that resonates particularly strongly still is the notion of war as a crime, especially in the myriad of horrendous ways it impacts on society for years after the events themselves are done with. For all its genre-busting ways though the novel does have a corpse (discovered by a nun), a police investigator (who spends most of her time pretending to be a nurse in order to keep an eye on a key figure in the case) and suspects (of a sort). It isn’t the easiest read you’ll come across but it is intellectually stimulating, especially for those who have some familiarity with the tropes and formulas of the genre who will enjoy seeing these subverted in intriguing ways. From this perspective the novel was quite a different read for me now than in 1991 when my knowledge of the genre (and most everything else at the ripe old age of 24) was fairly limited. As part of this challenge my job is now to mention three other female crime writers whose work is similar. I might revisit this in a different way in a future instalment of this challenge by discussing more feminist crime novelists but here I thought I’d highlight other women whose works are only loosely ‘of the genre’ in terms of their structure, focus or themes. Natsuo Kirino: a Japanese writer who eschews the traditional procedural or detecting elements of crime novels and in her grim narratives which explore a range of social themes such as the overall treatment of women in society. Of the two novels of hers that I’ve read, Grotesque and Out, I enjoyed the first more. It has elements of fantasy and gothic romance as well as crime but all are somewhat tangential to the deconstruction of the lives and thoughts of the sisters at the novel’s heart and the tortured, vitriol-filled relationship between the two is one you won’t forget in a hurry. 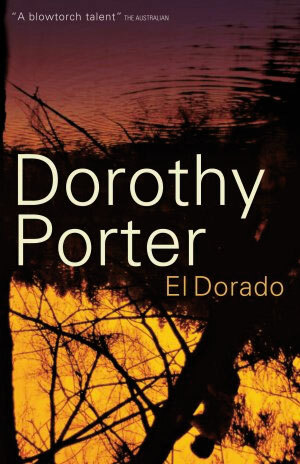 Dorothy Porter: another Australian writer who in 2007 released El Dorado, in whicb a man kills children (without molesting them) and is hunted by a troubled policeman whose own personal relationships are laid bare in the novel. The book’s break with genre conventions is that it is written entirely in verse. I thought I would hate it when it was selected by my book club shortly after its release but admit to finding myself thoroughly gripped by the exploration of people seemingly unable to grow up. If you’re worried about the poetry leading to a flowery or romantic book don’t fret; it’s as dark and sharp as any noir tale. Karin Alvtegen: there are actually quite a few women writers specialising in the psychological suspense category of novels which often don’t feature police officers or detectives of any sort and in which sometimes even crimes themselves are only tangentially discussed. In these books it is the reason for the crime that the author is exploring rather than who did what to whom and how many years are they going to jail because of it. The fact that these novels are often standalones is, these days, something of a convention-busting trait in itself as the long-running series has become so ubiquitous in the genre. I’ve only read one of Alvtegen’s novels so far but it has stayed clearly in my memory for over 2 years which is high praise indeed. Do you like crime writing that breaks with the traditions of the genre’s styles? Do you have any favourite women crime writers who ‘bust’ the conventions of the genre in some way? 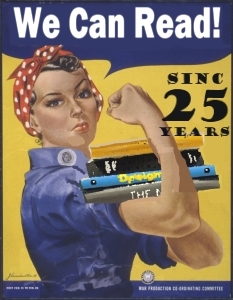 To celebrate the 25th anniversary of Sisters in Crime (US) author, blogger and current Sisters in Crime board member Barbara Fister issued book bloggers the challenge of writing about women’s contribution to crime fiction. There are three levels of the challenge and I’m aiming for the expert level which requires me to write ten blog posts about works of crime fiction by a woman author and, for each, mention three similar women authors whose works I would recommend. Though I am taking Barbara at her word and using the “whenever” deadline as a concrete goal, so it may take me a while to do all ten posts. Even if you only occasionally blog about crime fiction why not join in the challenge and help celebrate the women who write it? This entry was posted in Dorothy Porter, Finola Moorhead (Aus), Karin Alvtegen, list, memes and challenges, Natsuo Kirino. Bookmark the permalink. Look forward to more posts. Cheers! Great post and a very tempting review. (I have checked, and it is possible to get a used copy without robbing a bank). PS, meant to write I read a lot of the Sharon McC series but, as one sometimes does, fell away from them after half a dozen so have lost touch with her a while back. I have enjoyed Alvtegen and Kirino, so I must like genre busters. Interesting to realize how genre busting Marcia Muller was – borrowing from the tradition, but bending genders. Margaret Maron was one of the early presidents of Sisters in Crime and I just got a lovely quote from her for an article about the organization’s history remembering an early meeting when a group of women got together to decide on a name, among other things. I seem to remember reading that Sigrid is making an appearance in a book with Judge Deborah Knott – or did I dream that? PS: Moorhead and Porter are intriguing! must try to find them. The verse approach is quite a startling concept; good to hear that it actually works. Sisters in Crime Australia just celebrated our 20th anniversary with a fan and writers convention.. SheKilda Melbourne 2011 featured 60 women crime writers and reali-life crime specialists on a host of panels and workshops over the weekend of October 7-9. It was THE best way to celebrate two decades.